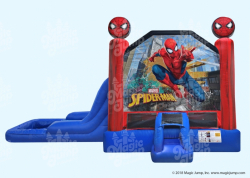 Courtesy of your friendly neighborhood web slinger comes the Official SPIDER-MAN Combo with pool. Let friendly neighborhood friends bounce and cool off at the same time, play basketball, or climb and slide into the pool for a feel of a water park at the convenience of your own home. 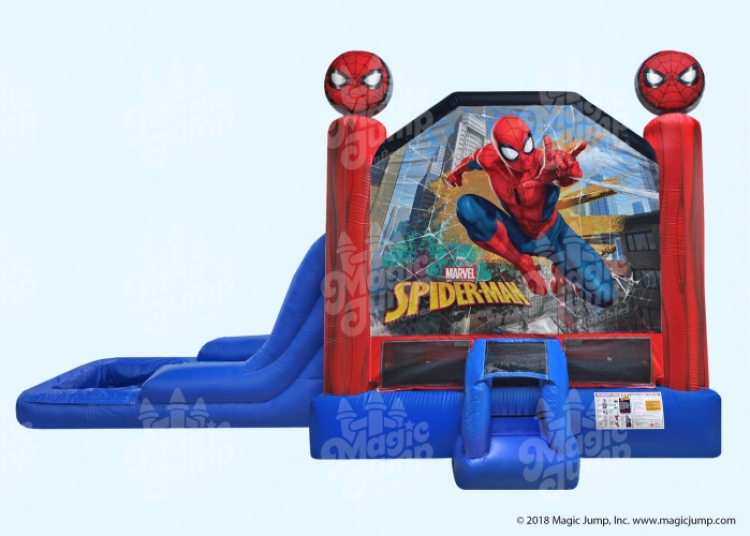 The SPIDER-MAN water combo is designed with fully licensed digital artwork and the logo from Spidey’s uniform as embellishments on top of both front vertical pillars. It is a spectacular & amazing ride that is suitable for all occasions. Price: $275.00 per 5 / hrs.